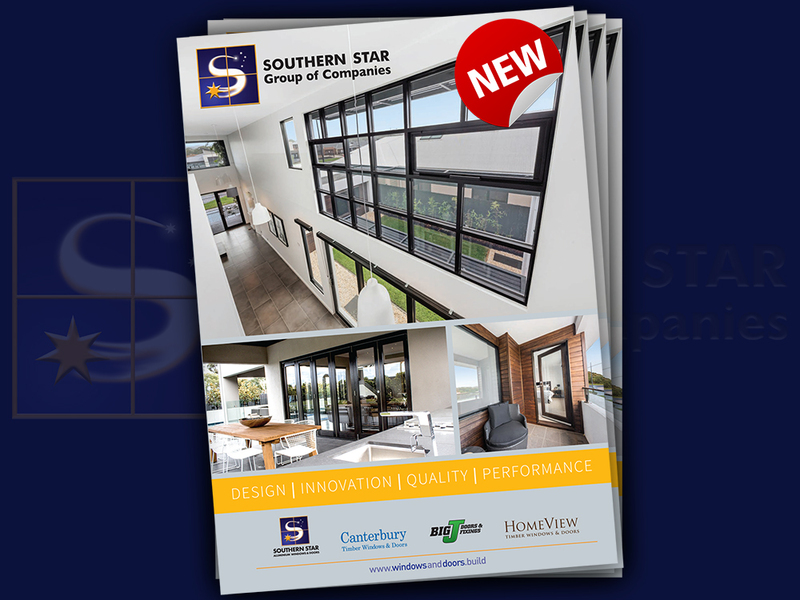 The Southern Star Group is happy to announce the release of our brand new combined product catalogue. Featuring products from Southern Star Aluminium Windows and Doors, Canterbury Timber Windows and Doors and Big j Doors and Fixings – the 83 page catalogue provides comprehensive information and showcases brilliant images of products in situ. The new catalogue is available to view and download digitally here. Our full range of windows and doors are detailed along with standard and upgradable hardware options. The catalogue also includes sections dedicated to product specifications, as well as features on TimGuard, Eclipse Sound Solutions and handy maintenance and warranty information. The catalogue has been designed with both builders and home-owners in mind and provides an easy to navigate and comprehend experience for people of all industry knowledge levels. We even summarise the features and benefits of each product to help highlight their uniqueness, quality and selling points. Whether you’re showing customers examples of powder coat colour options, or want to know all the panel configuration styles bifold doors are available in, there is something for everyone. We hope you enjoy the new catalogue as much as we do.